Affiliate Yields has closed as of May 31st, 2016. Affiliates should remove their trackings links to the program. If you're looking to promote online Australian lotteries then you might want to check out what Affiliate Yields has to offer. It is currently the official affiliate program for The Lottery Office, a site that promotes a wide range of Australian lottery products. Aside from the lotteries in Australia, the site also promotes lotteries from outside of the country like the British National Lottery, EuroMillions, as well as the Irish National Lottery. With more and more people trying out their luck on online lotteries, you're guaranteed to do well with promoting a brand through an affiliate program that has substantial commissions and provides you with the necessary tools/materials to succeed. Judging by its commission structure and support for its affiliates, Affiliate Yields just might be that kind of an affiliate program. All Affiliate Yields affiliate partners get to enjoy a 15% commission on the net revenue generated by The Lottery Office from their referred players. You're probably thinking that the rate is too low but it'sactually more than justified. Even if the player you referred wins, you will still get your commission since the lottery that he/she bet on is going to pay for his/her winnings. 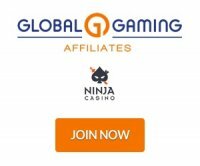 Additionally, Affiliate Yields has a special promotion where they give their affiliates $1000 for referring 300 or more players in the first six months to sign up with The Lottery Office and purchase lottery tickets/entries from the site. Of course, this amount is on top of the 15% Commission/Revenue Share that the affiliate is guaranteed to get fromhis/her referrals. As long as an affiliate's monthly earnings reach $100 or more, Affiliate Yields will immediately process the payment every 12th of the month. Currently, the program supports payments to Neteller and Wire Transfer. One of the perks of being an affiliate partner of Affiliate Yields is the programs outstanding backendfeatures and support. Banner ads and other media are readily available once you've registered and logged in to your account. Choose from a wide selection of image banners, dynamic flash and html5 banners, as well as offline codes and direct links to use on your promotional campaigns. You are also provided access to a detailed activity report that you can refer to on a daily basis if you want to know how your referral/promotional campaigns are faring. Affiliate Yields also has a finance tracker in case you want to track the commissions generated from your referrals' purchases on The Lottery Office.